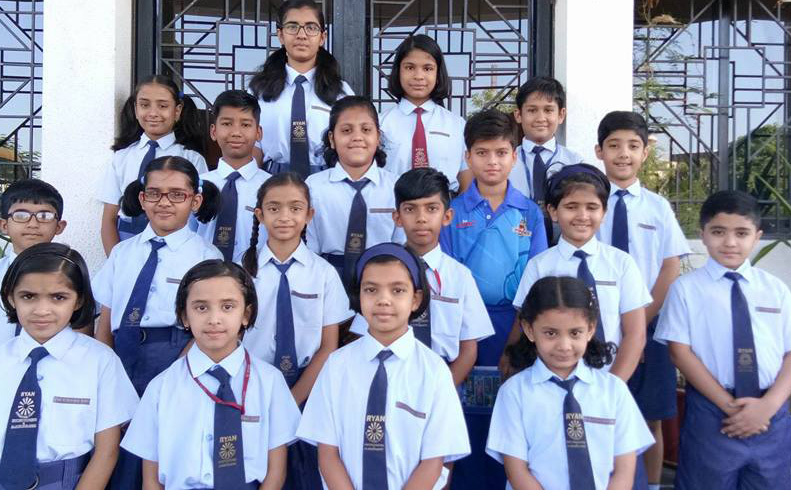 The RYANITES at RYAN INTERNATIONAL SCHOOL, Udaipur with their best efforts have borne fruit as they successfully attempted for Spell Bee National Level and have qualified for the International Championship. Twenty three RYANITES have qualified for the International Level and are awarded with Certificates of Achievements. We are also delighted to share that Nine Ryanites have showcased a wonderful performance and have been conferred with various Rank and Medals at National Level. RYANITES Master Ranveer Singh Chundawat bagged away 10th Rank, Master Nirjhar Jain won the 9th Rank, Master Aryan Singh got the 4th Rank, Ms. Arshi Mukherjee bagged away 6th Rank and RYANITES Ms Naisha Prabhakar, Master Dharin Chug, Master Vansh Lalwani are the Medal Winners. The Management, Staff and students of RYAN INTERNATIONAL SCHOOL family is proud of the achievers and wish them a bright future ahead. - Political mercury of Udaipur….